In celebrating Asian American Awareness Month the University Programming Board brings G Yamazawa, an award-winning slam poet, to Midwestern State University at Legacy Hall on Tuesday, April 10, 2018. 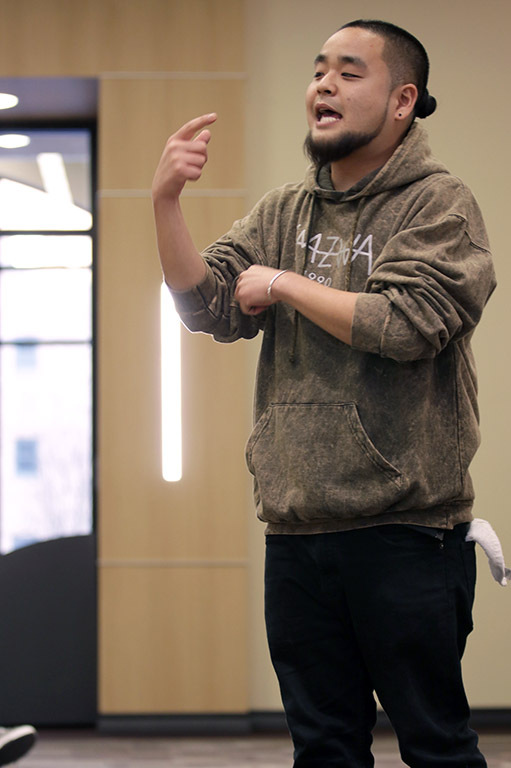 The room filled with laughter and applause as students absorbed the poetry and stories of National Poetry Slam Champion G. Yamazawa on April 10 in the Legacy Hall Multipurpose Room. UPB coordinated the event and about 30 students attended. George Masao “G” Yamazawa blended funny anecdotes about his life and family with hard-hitting verses explaining his identity, his heritage and what it means for him to be an American. His conversations with the audience strayed into his favorite rappers and childhood experiences as he engaged with the students and made slam poetry accessible. Many students said they felt that slam poetry provided a great dynamic in conveying Yamazawa’s message. Other students felt that Yamazawa’s humor and entertaining attitude provided a vehicle for him to address more serious and personal issues. Yamazawa said that slam poetry has given him a voice in a very open and enthusiastic environment. 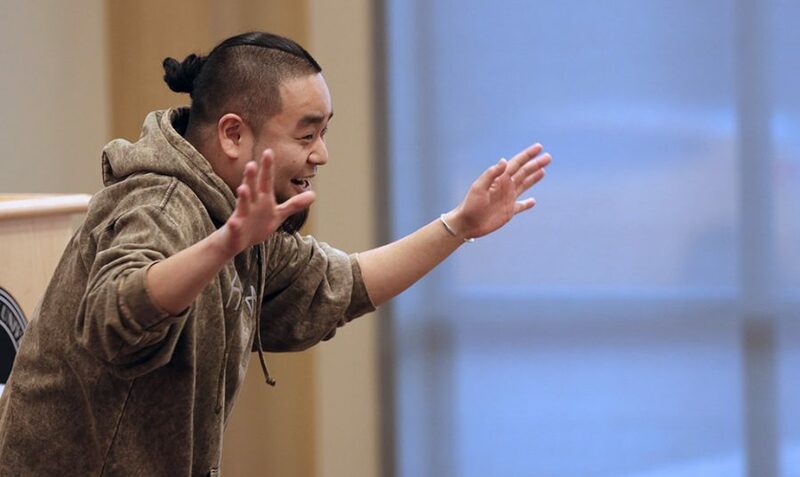 Although reaching his level of success may seem daunting to student, Yamazawa gave this advice to those in the audience about what it means to be successful. G. Yamazawa opened himself up to the audience as he regaled them with stories of his childhood, his immigrant parents and the complex identity of being a first-generation American.